Many will remember not the space shuttle, both Americans and Russians (who never flew). And because that just will not fly because they flew with the Americans. The ferries were created as reusable spacecraft capable of carrying “heavy burden” and cheaply. What happens is that in the end were not reusable (had to replace the ceramic with guards on every flight, and those that had fallen on takeoff) and they were so cheap. In a world where only care about money and not research, ferries were neither improved nor renewed, only decommissioned. 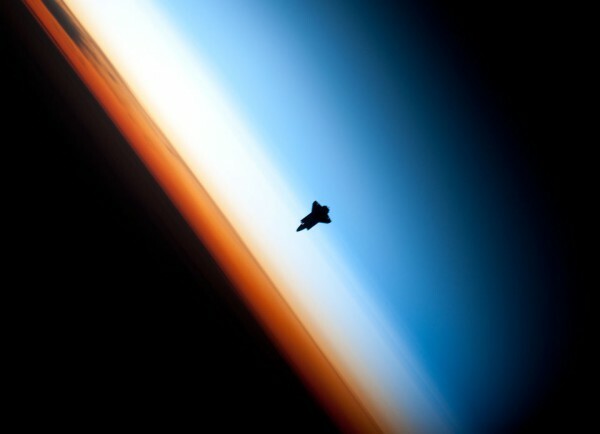 Not be (for now) more like silhouettes image taken from the ISS in 2010, the Endeavour. A ship that traveled into space only 25 times and retired in May 2011. Fortunately or unfortunately, Boeing has launched a (military, of course) prototype unmanned shuttle to space for the second time in tests without anyone knowing where it is, leading and serving (curiously). So that, in future, potential civil uses are not discarded.